One day last week I had my usual afternoon school run. It had been a pretty miserable day but luckily it had brightened up by the time I had to leave the house to get Mia. Elliw and I got ourselves ready a little early so we could walk a different way round to school. 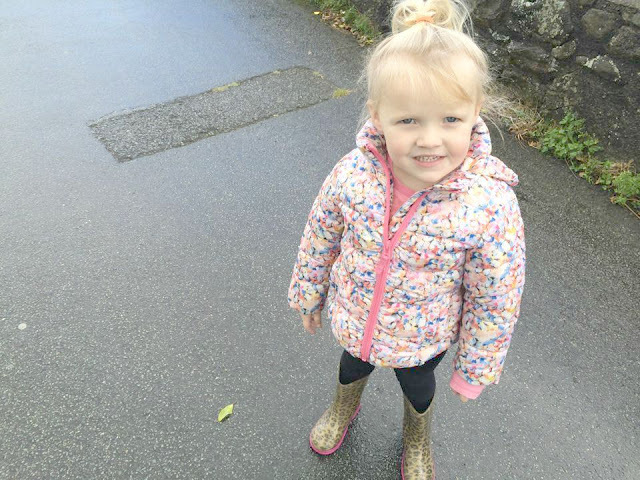 Elliw wanted her wellies on because she wanted to 'jump in muddy puddles' as she said. So she got her wellies and coat on and I got myself ready and off we went. There were many puddles on our way to get Mia and it was a surprisingly warm and lovely afternoon walk. 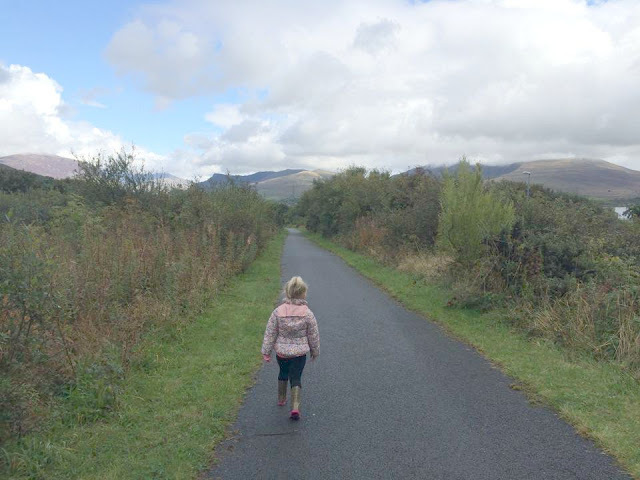 Very rarely will Elliw just run off herself and play by herself, especially when we are on a walk but this day she wasn't too bad. I had to tell her a few times to let go of my hand and just run. We did a few games on our walk, such as racing, eye spy and of course, jumping in muddy puddles. I love it when we have happy days like this. 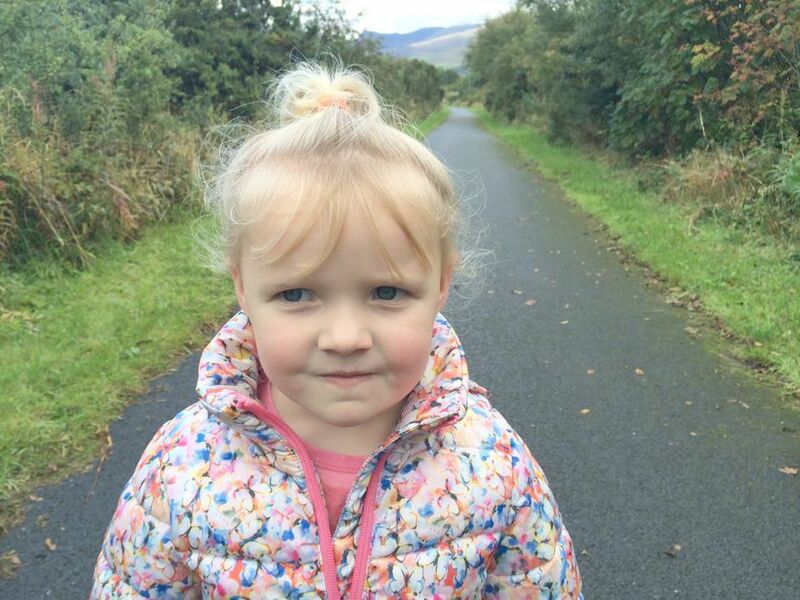 Elliw can be a right handful at times but she was so well behaved on our walk and we even enjoyed it on our way back too. She was forever jumping in muddy puddles. If it made her happy, then I was happy too! Awww cute! I've yet to buy wellies for mine but I think I ought to since the weather is so rubbish! Jumping in muddy puddles is one of the best childhood things to do...so much fun, yet so simple. So cute! Jumping over and into puddles is always great fun! Thanks so much for sharing at Let Kids Be Kids Linky. We love playing in the rain and we have had a lot of them this year, thankfully. We even invested in some rain boots. 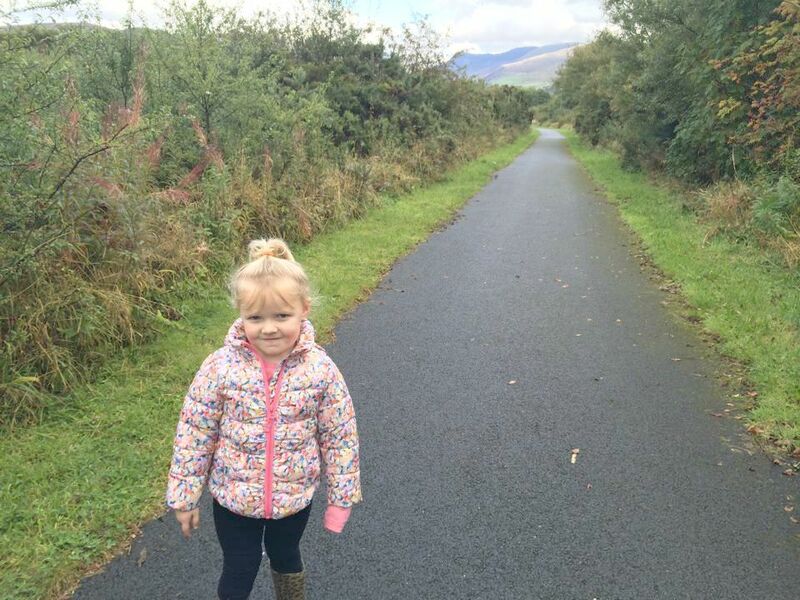 Aw, cute photos of your happy little girl! No matter how awful O's behaviour can be at home (and we're going through some very annoying behaviour atm), as soon as we're outside he completely changes and we have so much fun together. I really think being outdoors really makes everyone feel so much better and lifts spirits. 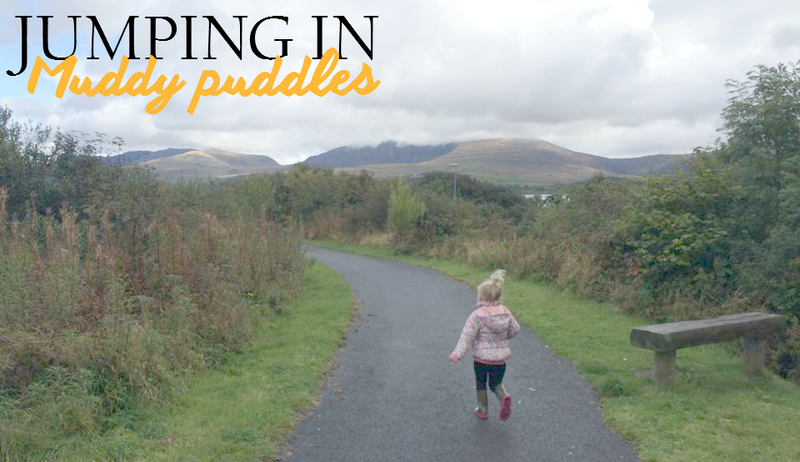 Puddle jumping is of course a fantastic activity for all kids (and adults too! ).